What do you do when you need a small home office or your kids need a place to do homework and there’s not much space to work with? Shelves are an inexpensive and easy DIY solution! 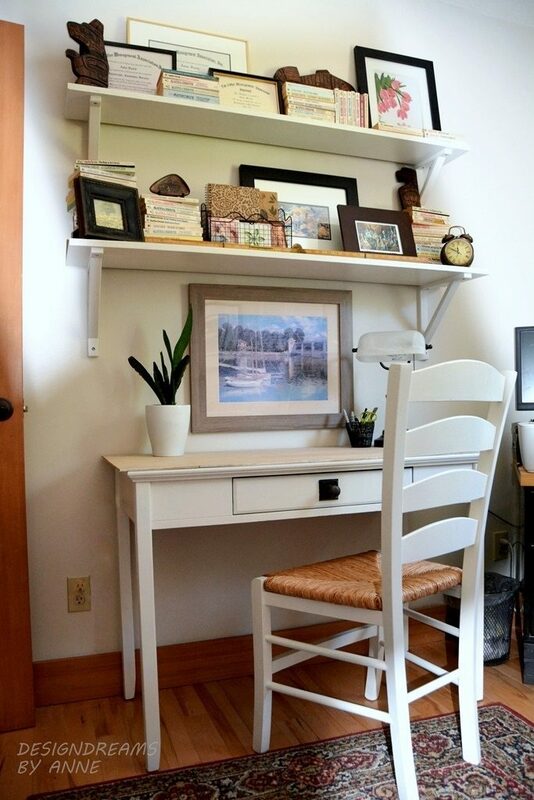 Combining shelves with a console table or laptop desk gives you enough space to work in without feeling overcrowded. If you don’t have a table/desk you can find them in the online classifieds for reasonable prices or you can install a deep shelf on brackets.